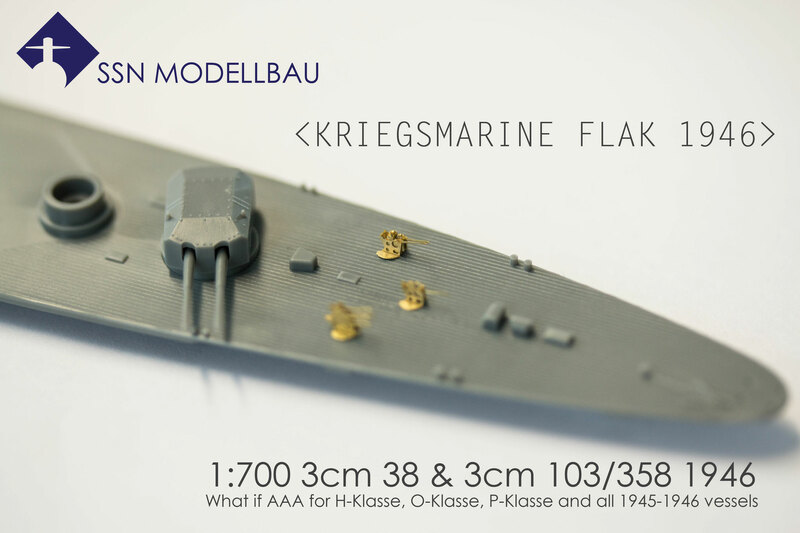 1:700 Accessories - ssn-modellbaus Webseite! 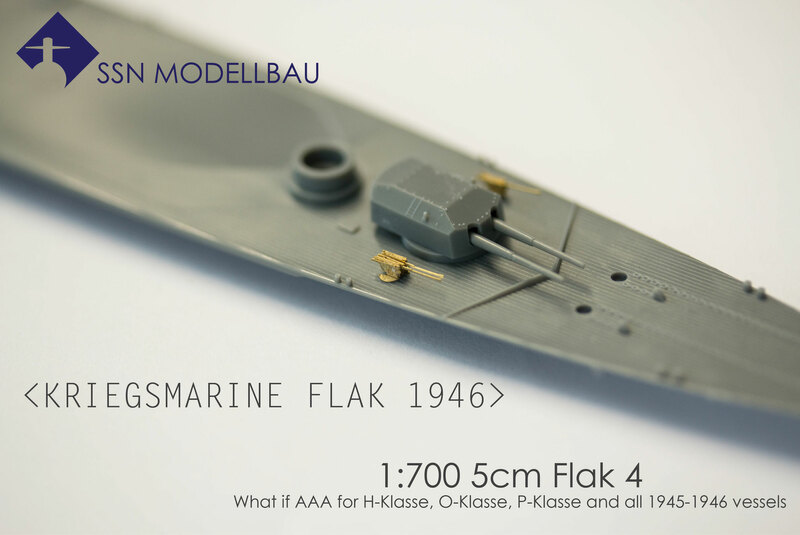 Flak for all Z-Plan units 1945+ in 1:700 scale. 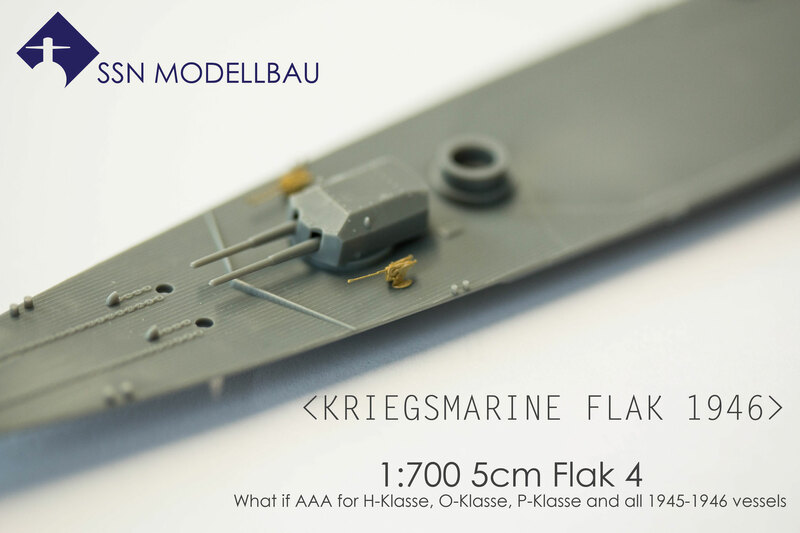 Kriegsmarine ordered 3cm and 5cm guns for their units in the early 40´s. These guns were a very successful design and aquired by the Airforce and Army for use in the Kugelblitz tanks. 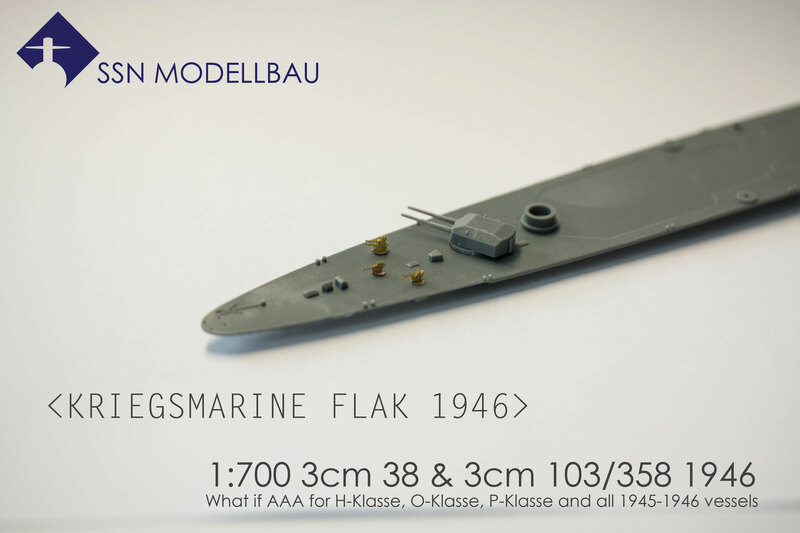 So, if you would like to equip your H-, O-, P-Class or Graf Zeppelin with Flak, here is the product for you.